AUCKLAND, New Zealand - Five sides are still yet to be defeated in the National Youth League but only Auckland City can boast a perfect record after the latest bout of action. With a third of the campaign now gone, the reigning champions are in a strong position to defend their title after recording another victory on Saturday. But it was far from straightforward against a Hawke’s Bay United outfit that proved difficult to break down, Auckland eventually triumphing 1-0 thanks to a Dhanush Chandra strike mid-way through the second half. 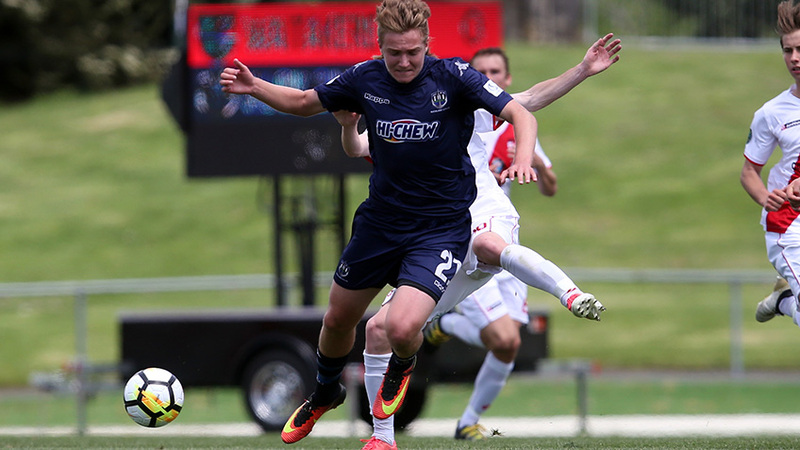 Auckland City’s closest challengers are currently Eastern Suburbs and Team Wellington, both of whom had to settle for a point over the weekend. Team Wellington needed an equaliser from Ryan Kelly with one of the last kicks of the game to draw 2-2 against Tasman United, who opened the scoring early on through Tullamore MacFadyen. Wellington made it 1-1 just before the hour when William Forrest struck but Tasman regained the lead through Lachlan Brooks before Kelly’s late heroics. Tasman are yet to taste defeat but are also still waiting for their first win after recording three draws in a row. Like Wellington, it took a last-gasp goal for Eastern Suburbs to keep their run going against fellow unbeaten side Canterbury United, who were given a half-time lead by Conor Clarke before Matthew Garbett struck in second-half stoppage time to salvage a point for the visiting Aucklanders. Southern United meanwhile picked up their first win with a 3-1 success at Hamilton Wanderers, the goals being supplied by Nick Treadwell, Rory Findlay and Blake Weston. Wanderers, who have picked up just a point so far, could only reply through Bayley Foster as their search for a first victory continued. Also without a victory are the Wellington Phoenix, who fell to their third successive defeat in succumbing 3-1 to Waitakere United. Jake Mechell notched an early double before Troy Christophers rounded out the scoring late on for the west Aucklanders, whose defence was breached once by Oskar van Hattum.